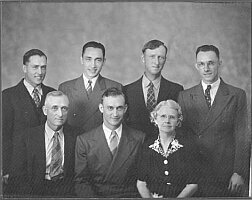 Below is a picture of seven of Frank(*1847)'s nine sons. Provided to the site by Larry Wyborny, a grandson of Joseph(*1885). 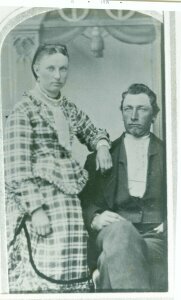 The following picture shows Frank's daughter May Wyborny Heiny with daughter Opal. 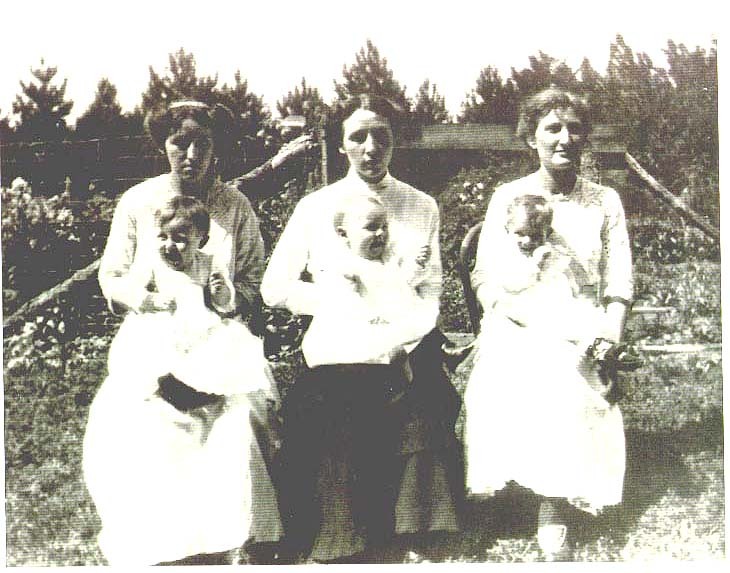 On the left is Joseph's first wife, Tracy, with daughter Leona and on the right is Robert's wife Emma with daughter Clara. 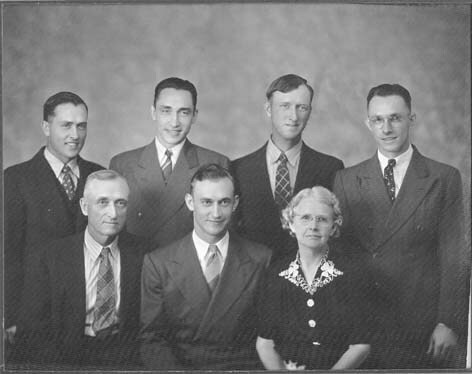 Provided by Ethel Wyborny Dernek's daughter (Franklin and Loretta Cummings King). 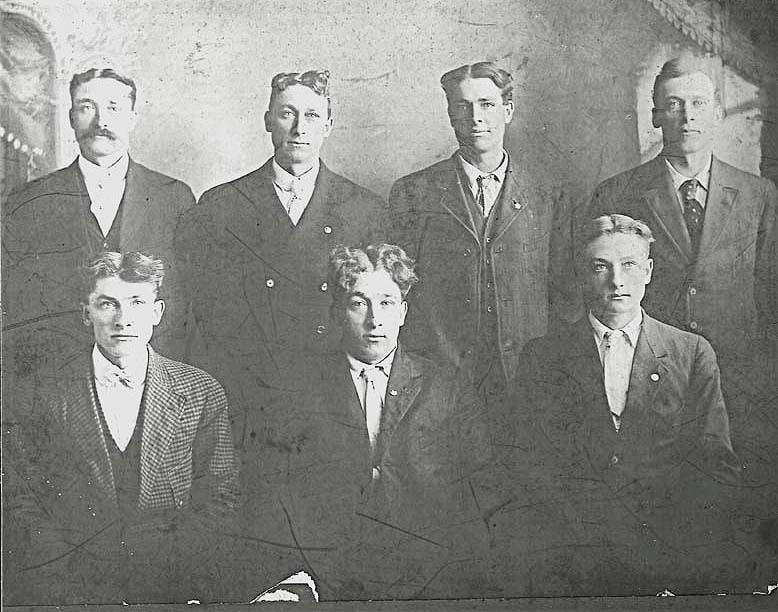 The picture was taken in 1913. All three babies were born in 1912. 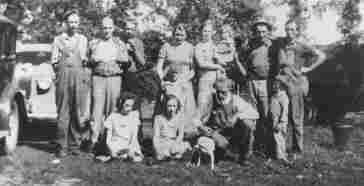 Below left is a picture of the family of Edward and Lulu Wyborny (format 192kB here). Front row: Edward Franklin, Donald, Lulu Witham. Back row: Harold, A.Kenneth, Roy, Edward Elmer. 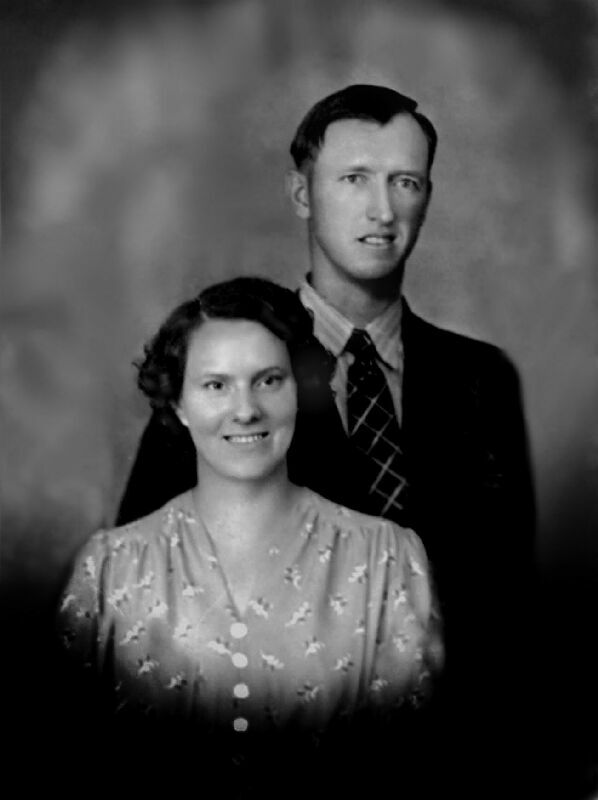 Below right is a photo of Roy and Minnie Wyborny taken in 1940's. 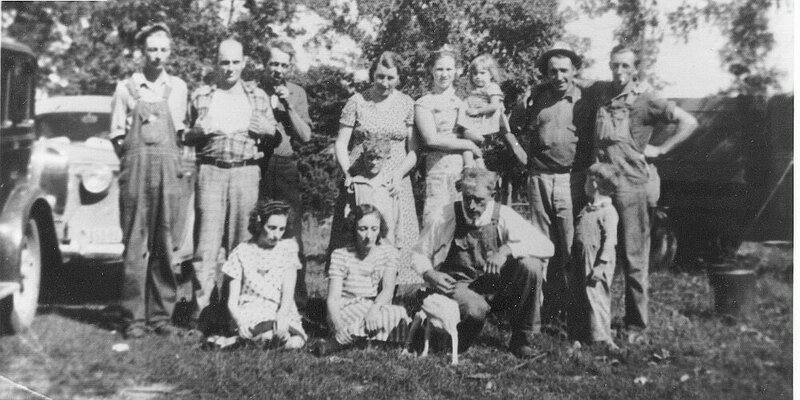 The next picture showing Joseph's family was taken in 1939 near Dalbo, MN. 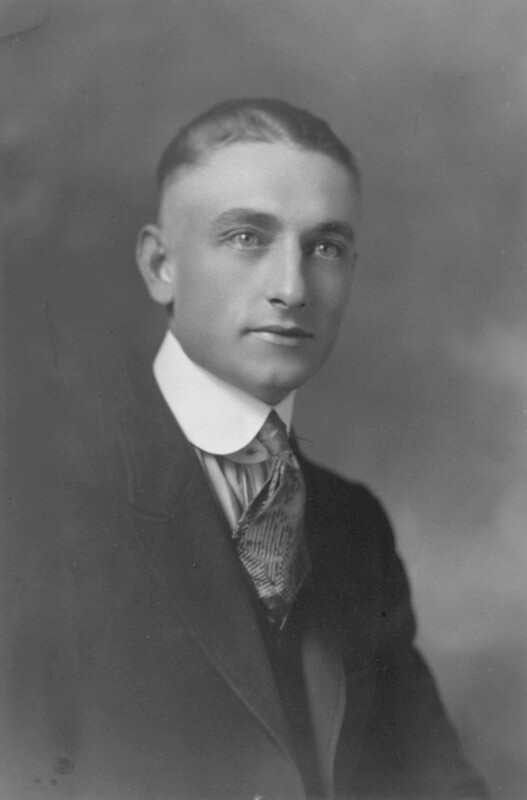 It was provided by Walter William Wyborny, the youngest Joseph's son. 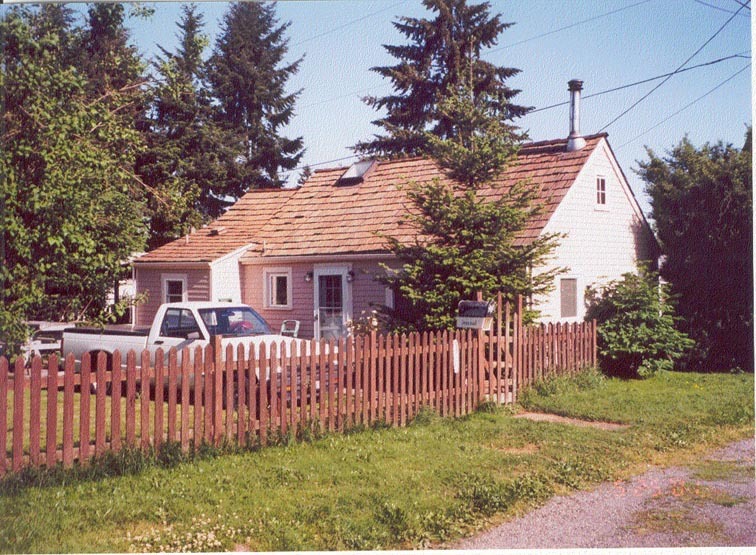 Below is a picture of the house where Frank(*1877) and Jennie Wyborny spent their later years in Auburn, WA. Jennie and daughter Iva continued to live in this house until their deaths. The following pictures show Sidney Wyborney (left) and his wife Blanche Coonrod Wyborney (right). 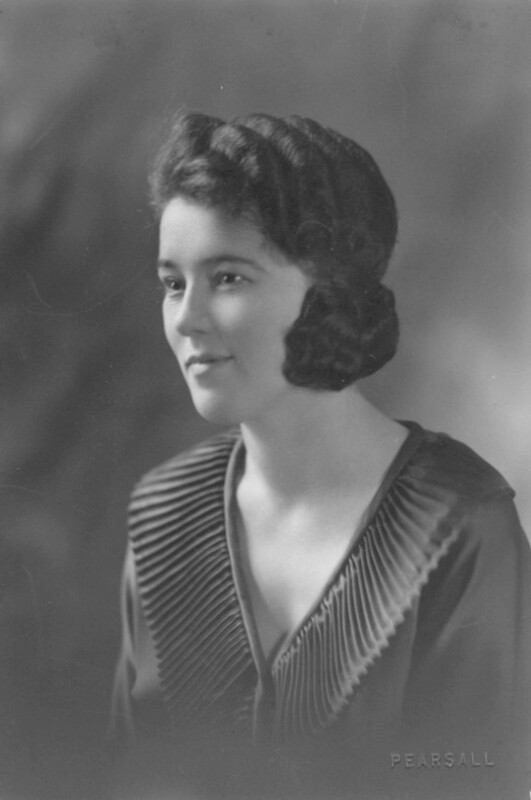 The pictures are provided by their daughter, Betty Wyborney Rosemeyer.